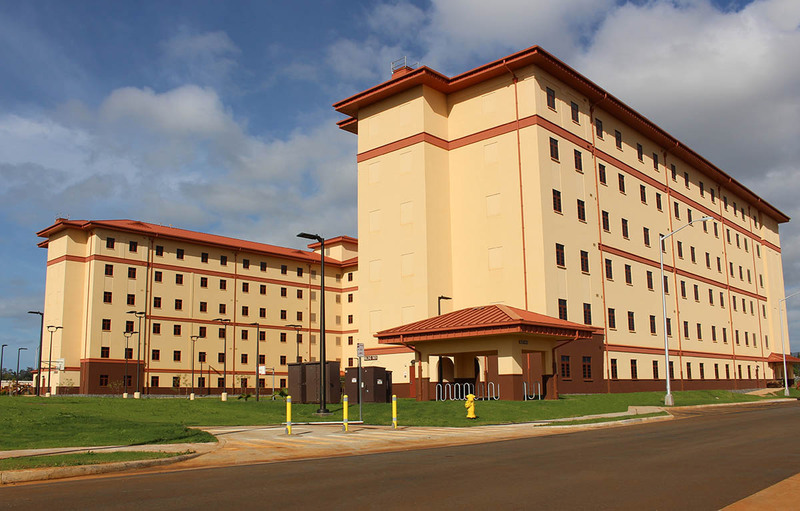 Wheeler Army Airfield (WAAF) – Island of Oahu | | Nan, Inc.
Design and construction to provide two six-story Unaccompanied Enlisted Personnel Housing Facilities to support the 25th Infantry Division Combat Aviation Brigade (CAB) stationed at Wheeler Army Airfield, Hawaii. 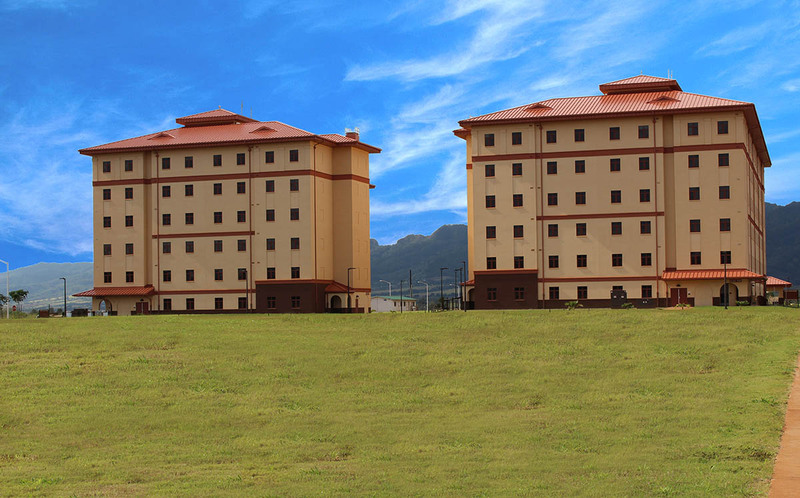 This project requires construction of standard design barracks to accommodate 404 Soldiers for a CAB complex. Primary facilities include the barracks, Central Plan, building information systems, fire protection and alarm systems, and Energy Monitoring Control Systems (EMCS) connection. Sustainability/Energy measures will be provided. Supporting facilities include site development, utilities and connections, lighting paving, parking, walks, curbs, and gutters, storm drainage, information systems, landscaping and signage. Air conditioning will be provided by the Central Plant. LEED Silver certification is required. A supporting one-story, Central Plant and 283 POV parking spaces (70% of Barracks PN) is also included in this phase of the CAB complex on the south side of the existing runway. This project is highly dependent upon the separately awarded and preceding phase of work, FY12 PN 69489, CAB Phase 1 Site Infrastructure project for all roads and utilities and infrastructure, which is being performed by another contractor.